Nice smile Saori posing for the camera at Lanikai Beach in East Oahu. 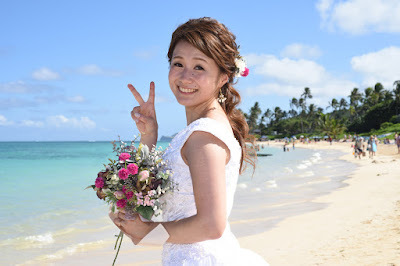 Beautiful shot of Japanese Bride! Hard to beat turquoise ocean color at Lanikai Beach. 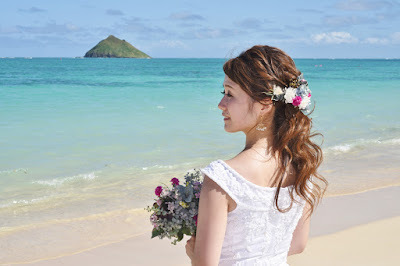 Part of Bridal photos is showing off your dress. What do you think?